Researchers, students or anyone else that would like to create their very own Raspberry Pi powered fingerprint reader may be interested in a new project from three researchers from Michigan State University. The RaspiReader fingerprint reader uses two camera modules connected to a Raspberry Pi 3 mini PC and has been created to improve spoof-print detection. Watch the video below to learn more about the interesting project. We present the design and prototype of an open source, optical fingerprint reader, called RaspiReader, using ubiquitous components. RaspiReader, a low-cost and easy to assemble reader, provides the fingerprint research community a seamless and simple method for gaining more control over the sensing component of fingerprint recognition systems. In particular, we posit that this versatile fingerprint reader will encourage researchers to explore novel spoof detection methods that integrate both hardware and software. RaspiReader’s hard- ware is customized with two cameras for fingerprint acquisition with one camera providing high contrast, frustrated total internal reflection (FTIR) images, and the other camera outputting direct images. Using both of these image streams, we extract comple- mentary information which, when fused together, results in highly discriminative features for fingerprint spoof (presentation attack) detection. Our experimental results demonstrate a marked im- provement over previous spoof detection methods which rely only on FTIR images provided by COTS optical readers. 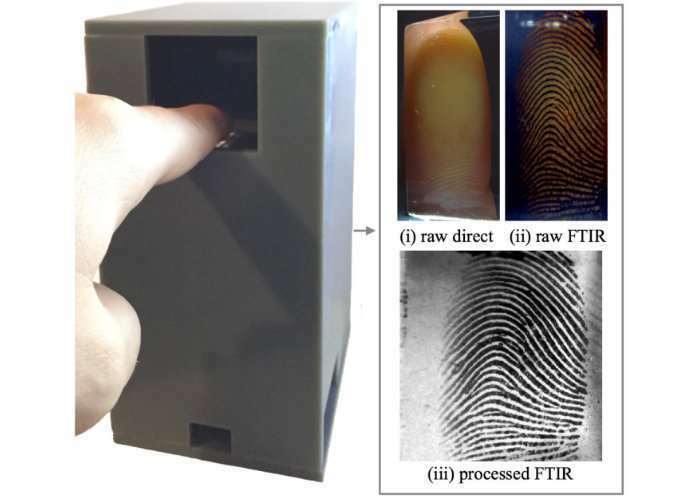 Finally, fingerprint matching experiments between images acquired from the FTIR output of the RaspiReader and images acquired from a COTS fingerprint reader verify the interoperability of the RaspiReader with existing COTS optical readers. For full instructions on how to create your very own RaspiReader, Raspberry Pi fingerprint reader jump over to the PDF paper by following the link below to the RaspiReader PDF.